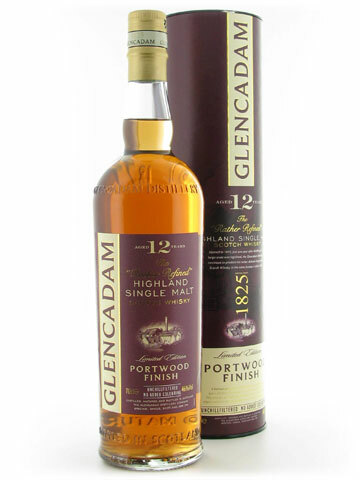 Launched in late 2010, this 12 year old Glencadam was finished in port pipes and it was the first ever “finised” whisky from the distillery. Very interesting indeed. Nose: Notes of peach, damson jam, rhubarb crumble with custard, black pepper and nutmeg. Hints of soft, summer fruits and a little old wine. Palate: Sweet and rich with a wonderful mix of juicy malt, floral notes, a little melon and some spice. It develops with strawberry conserve on hot buttered granary toast. Finish: Good length with cinnamon, clementines and barley. Sampled during Water of Life Society (WoLS) meeting 13/03/2014 – Whisky Finishes alongside Taylor’s LBV 2008 port. Taylor’s Ports represent a three hundred year old tradition that began with the foundation of Taylor Fladgate & Yeatman in 1692. Three centuries of independent family ownership and experience ensure that Taylor’s Ports continue to be made to the highest standards. Produced from rich fruity wines from single harvest, Late Bottled Vintage was developed as an alternative to Vintage Port for more informal occasions. Its longer wood ageing means that it is ready to drink when bottled, needs no decanting and will remain in good condition for several weeks after the bottle is first opened. Tasting Notes: Deep ruby red colour, black morello cherry on the nose, great vibrancy and wonderful freshness of fruit. On the palate, cassis, plums and blackberry combine harmoniously with the well-integrated and tightly knit tannins. Long elegant finish.